Are Clarkson and the boys coming to a computer screen near you? Now that Britain’s favourite motor head trio have parted company with the BBC and Top Gear – with Chris Evans stepping in to replace them – it seems Clarkson, May and Hammond are now going to keep up with the times by making an online show. 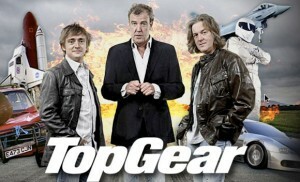 Clarkson’s departure from the BBC back in March meant all of the scheduled live shows would have to be altered, so any resemblance or association with Top Gear would have to be gone. So the series of live shows was rebranded as ‘Clarkson, Hammond & May Live, and whilst on the tour in Australia Clarkson told the live audience “There will be a car show on the internet or in your house.” The show then continued with jokes and skits where the trio made light of the situation with the BBC, and of course the antics with vehicles we have all witnessed over the years on Top Gear, such as motorbike polo. The Internet soon started to circulate with news and rumours of an online production, with companies such as Netflix being mentioned as a likely top bidder for the show. It’s now been confirmed that the new show will be backed and made for Amazon Prime, with a massive budget of £160m. News and social networks were quick to have their input about the new show, which included Piers Morgan who was quick to share his opinion by saying “I thought it was Amazon Prime not Amazon past your prime”. He’s obviously well known for not pulling any punches when stating his opinion, but it does beg the question of whether or not the trio will be able to emulate the same magic they did for years on Top Gear. How will an online show compare to TV? Now that Top Gear has its replacement presenter, with more likely to follow, its doubtful the show will have the same structure as before. So what does this mean for this new Amazon Prime show? They could just make a carbon copy of the structure and antics of their time on Top Gear, and expect it’s loyal fans to make the switch to online. Or will they completely rejuvenate the show, and use the huge budget to give viewers something they haven’t seen before. You then have to consider how many people will see this new show as a reason to sign up to Amazon Prime, especially since Top Gear has a lot of older viewers who may not want to bother with online viewing. For die hard fans of Clarkson, Hammond and May this will be a key selling point for an Amazon Prime subscription. With a massive budget and the same three familiar faces, the new show is definitely going to be worth watching. Some critics have said they may struggle to get as many viewers in the UK, because they won’t be associated with the institution that is the BBC. Being online means they have the ability to reach out to a wider audience, so in terms of international success we will have to wait and see. Gemma Sheldrick is Head of Strategy at DNA Insurance, who provide car insurance advice and cover for businesses across the UK.